South Africa-based artist Jono Dry was born in Pretoria and raised in the beautiful seaside town of Hermanus, where he pretty much spends time drawing beautiful things. 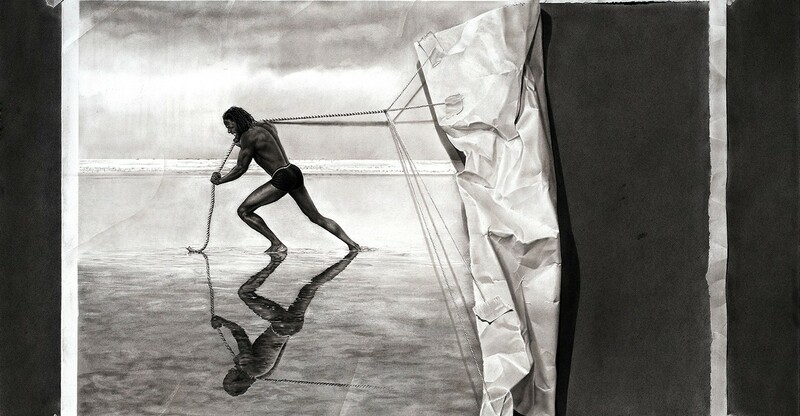 He is entirely self taught who loves to draw surreal and hyper realistic pencil drawings. His unique photo realistic-surrealist works are usually created on a large scale, using graphite on paper or board. Jono draws inspiration from the things around him, usually people and nature. He loves looking at things with the potential of turning a situation into a drawing. Jono Dry also loves to observe and gets ideas on how people interact with nature, vice versa. 4 years ago today I finished this drawing and it remains the single most challenging drawing I have done. over 280 hours of intense work it took around 5 months to complete. To view Jono Dry’s works, you can visit his website and Facebook page. Were you inspired or got any lovely suggestions for us? Let us know through the comments box below.